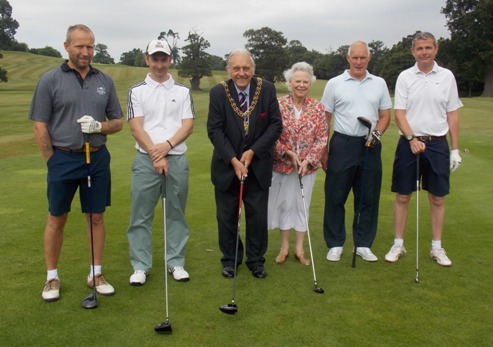 The SSAFA Coventry Annual Charity Golf Day was held at Stoneleigh Deer Park Golf Club on Thursday 16th July 2015. This annual event raises funds for the Service Charity, to help ex serving and serving soldiers and their dependents in their hour of need. Seven teams took part in a four ball competition; all had a good day culminating with a three course evening meal and awards ceremony. Lord Mayor Councillor Michael Hammon and Deputy Lord Mayor opened the event. The next SSAFA Charity Golf Day will be held on Thursday 14th July 2016. For more information please contact Peter Fazakarley at SSAFA Coventry Office on 024 7659 9098 or 0789647 8623, or email ssafacoventry1@btconnect.com. SSAFA Coventry would like to thank Stoneleigh Deer Park Golf Club for all their help over the last 14 years we of hosting the Charity Golf Day. Next year will be our 15th year, so come along and celebrate with us! The Coventry Division of SSAFA (Soldiers, Sailors and Airmans Family Association) held their annual golf day at Stoneleigh Deer Park Golf Club on Thursday 17th July, raising money for assisting the work and welfare with our Ex-Service Community and their families. Nine teams competed in the splendid day of golf to win the SSAFA Gildea Trophy, which was awarded at an evening presentation event. This year's winners were 30 Signals Regiment, team 2, who were supported by Johnny Reay Jnr, who in turn took away the day's best handicap trophy. Pete Fazackerley, the organiser said: "Thank you to everyone who assisted and supported our SSAFA Golf Day, a total of £900.00 was rasied on the day. We hope to see you again next year"